Want to learn more about Leadership Academy? When you put yourself in a position to impact the greater good, contribute at the deepest level and lead in a way where other people’s lives are transformed forever – you’re becoming a world-class leader. 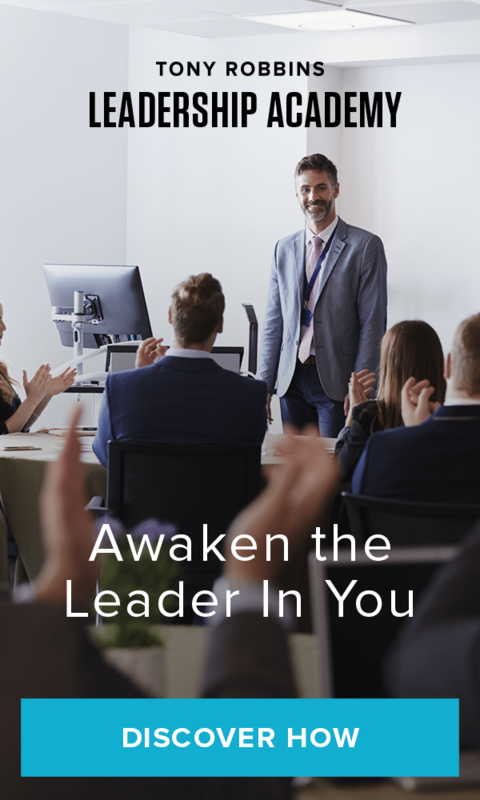 If you’re ready to make your vision a reality and inspire others around you – Leadership Academy is your once-in-a-lifetime opportunity. You’ll learn the tools, distinctions and strategies Tony’s uncovered over 3 decades working with the top leaders on the planet like Nelson Mandela, Mother Teresa, Bill Clinton, Mikhail Gorbachev, and many more – and you these tools will help you create impact and lasting change in the world. The power that comes from being able to step into any situation and make a difference in the quality of your life and the lives of others is a level of control and contribution unlike anything else. Your ability to lead in every aspect of your life – at work, at home, in your community – will be ignited and unleashed. The massively positive difference you can make as a true leader will inspire others to greatness and increase the quality of your life and the lives of everyone around you. NOW is the time to become a force for good. NOW is the time to step into your true potential – the life you were meant to live. Leadership academy is only offered once a year – so don’t miss this rare opportunity.